Marina Labarthe del Solar is a transgender activist born and raised in Peru. Marina is passionate about art and storytelling, with a considerable propensity to merge the two. They uphold storytelling as a powerful medium for social change, especially by amplifying the experiences of individuals who have long been silenced. From their earliest years, Marina has been fueled by hearing other people’s stories. It wasn’t until last year that they began seeing the value in telling their own narrative. Marina is currently working with NPR’s Maria Hinojosa to record Latino USA’s first episode on the experience of living as a transgender immigrant during Trump era. Marina is grateful to be given a platform to talk about issues they and many other LGBTQ+ people are facing, but they hope to soon build their own platform for others to share their stories. Storm Garner joins Columbia’s 2018 OHMA cohort from a decade or so split between working zealously in the New York storytelling arts--mostly film and theatre, variously as writer, director, actor, designer, producer, musician and composer--and slowly earning her BA in Creative Writing--Nonfiction--here at Columbia’s School of General Studies. Born in Washington DC in 1983, and raised mostly in Paris among international politics and NGO folk, Storm’s childhood ambitions to help fix Big World Problems on a policy level in a power-suit were dashed by a Bipolar diagnosis and subsequent downward spiral of health in her late teens, which forced her to leave her beloved studies and take a path less traveled, and often no path at all, since her future then seemed so tenuous. Nonetheless, art-making continued to heal and invite, and work was somehow made: after co-founding a theatre company in Kraków, Poland, she moved to NYC in 2006 to work as a collaborative theatre artist at La Mama Experimental Theatre Company in the East Village, and one creative project after another has kept her in the city since then. Last summer she production designed the feature film SOUTH MOUNTAIN directed by Hilary Brougher. This fall she’s costume designing a new feminist time-traveling opera by Alex Temple at Carnegie Hall. She still hopes to make a short film out of her original script that won, among other awards, the LGBT screenwriting award at Rhode Island Film Festival last year. But by and large, she’s hoping to spend less time backstage and on film sets in the future, and more time in development, with the help of her Oral History studies. Inspired by her fascinating research experience as co-writer of short film “The Loyalist” (2015) by Minji Kang, a drama about the family life of the North Korean military elite which went on to win dozens of awards on the festival circuit, she’s been turning her focus to research and development of film treatments and scripts that tell real, lived, underrepresented stories—responsibly! And her favorite part of the process is—you guessed it: just finding sources and hearing their stories in the first place! The oral history project Storm is starting out with at OHMA is her first that is unrelated to the film and theatre world. She’s making a series of short, light, video portraits of the immigrant chefs at the Queens Night Market, a 4 year old weekly food festival of sorts that aims to “celebrate the ethnic and cultural diversity of Queens”, and is the brainchild of her fiancé John Wang. She hopes the chef portrait series will lead to deeper conversations that won’t fit so easily into social media video posts, and looks forward to finding out what form these conversations will take, with the help of her instructors and fellow cohort members at OHMA. Anne Cardenas has consistently pursued opportunities to not just hear stories, but to truly listen and use them to enable deeper human connections. From her earliest years growing up on military bases around the world, to walking the halls of the White House where she served as a political appointee, Anne has been fascinated with diverse human connections and documenting stories. During a trip to a refugee camp in Southern Turkey at the height of the Syrian crisis, she found her own voice in the process. Anne joins the OHMA 2019 Cohort hoping to combine her passion for human and refugee rights with the power of oral history and storytelling. Currently, Anne works as an Events Consultant at the United Nations Development Programme and prior to this, she worked in the Office of the CEO at VICE Media. Anne served in the Obama Administration from 2012 to 2016, working at the White House in the Office of Presidential Correspondence, as part of the team that processed presidential gifts and selected ten letters for President Obama to read each night of his presidency. She then served as Deputy Director of Travel Operations and Advance for the Office of the Secretary at the Department of Homeland Security. Anne has roots in Tampa, Florida but has called many places home, including South Korea, Thailand, and the United Kingdom. She received her Bachelor of Arts Degree in Public Relations and History from Florida State University in 2011. In her free time, Anne enjoys running, international travel, political history, and searching for the best hot dogs in New York City. She is excited to join the OHMA 2019 Cohort to sharpen her storytelling skills and looks forward to learning from the OHMA faculty and her new classmates. Piloting the Oral History project at the Wikimedia Foundation with the AfroCROWD initiative, Darold is a recovering interactive journalist/producer who’s latest story has grown so big its splintered into three, and landed him at the doorstep of OHMA. He’s #MappingFreedom -creating a digital database and interactive GIS & Wiki-enabled map of all of the #FreedomColonies on the planet. With the International Association of Freedom Colonies (iAFC), he’s identifying all of the communities that resisted Western Colonialism’s systemic and institutional white supremacy race/ism (genocide, racialized enslavement) along the colonial pathways, from the Americas, to Africa, to Asia and Australia, to create their own “colonies of freedom,” and engaging in efforts to restore and preserve these historic communties. (Learn more at iMappingFreedom.tumblr.com). Because the majority of these communities exist mostly in the oral knowledge that has been passed down for generations and hundreds of years, he’s excited to join the 11th cohort at the oldest institution for such study. A theatre major (with a minor in PPE), and a founder of #HackingRacism (an initiative to help people dismantle systemic, institutional and structural racism in their everyday environments), Darold’s fascination with the narrative spans platforms and disciplines. He looks forward to learning from and with everyone: feel free to connect through email (Darold.cuba@Columbia.edu), social media (@DaroldCuba, about.me/daroldcuba, LinkedIn), etc. Bridget Bartolini is a socially engaged artist, educator, and creator of the Five Boro Story Project, a program that produces free community events that bring New Yorkers together through sharing true stories and art inspired by our neighborhoods. From a young age, Bridget loved listening to other people’s stories, but it wasn’t until she was studying Community Education in grad school that she learned about the power in the simple act of sharing personal stories. Inspired by her belief in the power of storytelling as a tool for social justice, her love for New York City, and her frustration with the lack of cultural programming in areas like her home neighborhood in Queens, Bridget launched the Five Boro Story Project in 2013. From organizing small story-sharing workshops to curating and producing large events with storytelling, poetry and music performances, Bridget’s creative process involves working with community members, organizers, activists, and artists to collaboratively create tributes to the people and places that make up our homes. Since 2015, Five Boro Story Project programs have particularly focused on gentrification and displacement, primarily working in neighborhoods where cultural history and memory are being erased and replaced, along with residents. Bridget holds a Bachelors degree in East Asian Studies from Oberlin College (and, in what feels like a former life, lived in Tokyo) and a Masters degree in Family and Community Education from Columbia University’s Teachers College. She is excited to join OHMA and learn about oral history methodology, best practices, and archiving, and deepen her work with the Five Boro Story Project. I earned my B.A. from University of Illinois at Urbana-Champaign in Political Science. I have been searching vigorously for the opportunity that would help me develop certain skills I needed for my future projects and enable me to achieve my career goal which is to support and provide aids specific groups of individuals, especially the patients from minority backgrounds and the elderlies who have difficulties communicating with other cultures due to lack of language abilities. I am originally from Seoul, South Korea. And as an immigrant myself, who also has a non-native English speaking background, I've seen numerous people facing similar challenges due to their lack of local language skills. Not knowing the local language is the biggest obstacle in the way of successful expat assignments because it leads to bigger challenges like relocating family, finding appropriate housing, and organizing tax affairs, etc. In addition to my recent research project at NYU, I have participated in a variety of volunteer services in different places including South Korea and the United States. As a volunteer, I not only found it rewarding in terms of what was achieved, but also discovered talents in myself that I had not appreciated before. I believe that the goals Columbia University's OHMA program pursues are no different from mine. I wish to make changes, no matter what sizes they are, that eventually sparks a big influence in our society, through new challenges and opportunities I will be experiencing in the near future. Renaldo McClinton is a native of Shreveport, Louisiana. He is a musician and a professional actor who has done various work with numerous equity theaters both nationally and internationally. He is credited with work on major motion films as well. Renaldo graduated with his Bachelor's degree from Louisiana State University where he studied theatre performance. He then went on to study classical acting with a concentration in Shakespeare and Jacobean text at George Washington University's MFA program in Washington, DC. After spending some time in the classroom as a history teacher, he is excited to continue his studies at Columbia University in order to explore the connection between art, culture, oral history, and storytelling. Nairy is an enthusiastic social activist with a passion for community service and social work. An Egyptian Fulbright Scholar to the OHMA program, she draws from her experience to document movement and transition narratives for social change. She has worked and volunteered on non- formal education, self expression and intercultural learning with children, youth, adults and refugee communities for over ten years and has worked on documenting narratives of identity and movement with Palestinian and Syrian refugees in Cairo, New Damietta and Port Said, and Nubians' reflections on displacement in Aswan. She appreciates food, enjoys travel and believes one has to be laid back to be able to take on life and take in its beauty. Some say that I am a Chihuahua; some even say that I am a “Lightening Puma.” While I do not like to label myself, I am an ordinary thinker with not-so-ordinary flavors. I went to the University of Georgia, where I received a B.A in History with a minor in African American Studies. For my senior thesis, I explored a controversial topic, lynching and its impact on the twentieth-century Southern society. After intense months of researching, I had the honor of writing and presenting a paper, “Southern Women and the Anti-Lynching Movement, 1930-1942.” As a social justice advocate, I enjoy learning about the forgotten histories and connecting them to current issues and events. During the four years of college, I had the opportunity to explore, engage, extract, and learn this growing field, Public History. Coincidentally, I began interviewing my friends and colleagues back when I was a freshman during which I struggled with adapting and assimilating to the social life in the university. Being the first generation to attend college in the U.S, I had no idea what I was getting myself into. So, I began asking a lot of questions during my conversation with people. Soon, I interviewed them for fun, and I realized that people had so many fascinating stories but with little to no opportunities to share them. In 2015, I launched a personal blog called, “Interviewing the Ordinaries.” As a Public History Intern and Research Assistant, I was able to incorporate my passion for history and documenting interviews at the General Federation of Women’s Clubs in Washington, D.C. and the Richard B. Russell Library in Athens, GA. After exploring with various kinds of public history works, there was something that I always enjoyed doing and went back to, interviewing! I am beyond excited to continue interviewing and documenting people’s stories through OHMA! Eileen Welsome is a longtime author and journalist who began her career as a police reporter on the Texas-Louisiana border. 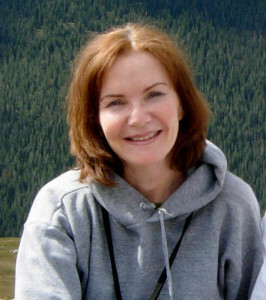 She graduated from the University of Texas in Austin in 1980 with a bachelor’s degree in journalism. In 1994, while working at the Albuquerque Tribune, she won the Pulitzer Prize in national reporting for a series of stories on eighteen people who without their consent were injected with plutonium during the Manhattan Project. Her first book, The Plutonium Files, grew out of that project. Her reporting has appeared alongside of such legends as Ida Tarbell, Edward R. Murrow, John Steinbeck, and John Muir in the anthology Muckraking: The Journalism that Changed America. She has testified twice before Congress, once about the plutonium patients and a second time when lawmakers were preparing to amend the Freedom of Information Act to include electronic records. Eileen has long been interested in the untold stories behind the vast nuclear weapons program and the individuals who were exposed to harmful amounts of radiation by accident or by design. They included some of America’s most vulnerable populations: orphans in Massachusetts given radioactive oatmeal for breakfast; pregnant women in Tennessee who ingested radioiodine ‘cocktails’; uranium miners on the Colorado Plateau who developed lung cancers from high levels of radon; and atomic veterans who marched to Ground Zero minutes after atomic bombs had been detonated. She’s also interested in exploring what global technologists are saying about artificial intelligence and the ways in which AI could trigger a new arms race. Long before the problem of abuse in the Catholic Church became a national issue, she and her colleagues wrote about dozens of priests who were shipped to an outpost in New Mexico for rehabilitation and then set free to abuse children in remote parishes; she exposed how wild animals, such as elk and longhorn sheep, were being captured in New Mexico and other parts of the West so that their antlers could be ground up into elixirs and potions; she revealed how a monopolistic utility company raised its rates to exorbitant levels while simultaneously awarding top executives handsome bonuses. More recently, she has written about the medical caregivers in Denver and Boston who established the nation’s first community healthcare centers in the 1960s, advancing the idea that healthcare was a human right and not a privilege. These dedicated men and women hired people in the neighborhoods to work in the clinics and by doing so, improved the lives of three generations of families. Eileen is eager to learn more about the digital methods of collecting and archiving stories, as well as the theories and methods behind the collection of oral histories so that she can develop richer and more complete records of the people who have shared their lives with her. 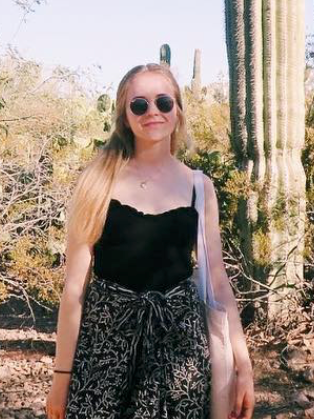 Caroline graduated from New York University last year where she studied in an interdisciplinary global studies program and minored in French. Her senior thesis at NYU used the voices of people living in Paris during the November 13, 2015 terror attacks to investigate how voice-based art could re-work responses to divisive political trauma in an attempt to reconnect populations that felt driven apart. A year later she found out this methodology was otherwise known as oral history. She is looking forward to combining her love of language, conversation, human connection, theatre, and storytelling at OHMA. Brad Bailey, originally from Moultrie, Georgia, is a recent graduate of the UC Berkeley School of Journalism. He received his B.A. from Yale University in Political Science and his Masters of Public Affairs from Princeton. Brad is an avid fan of telling stories, especially those from underexposed communities. 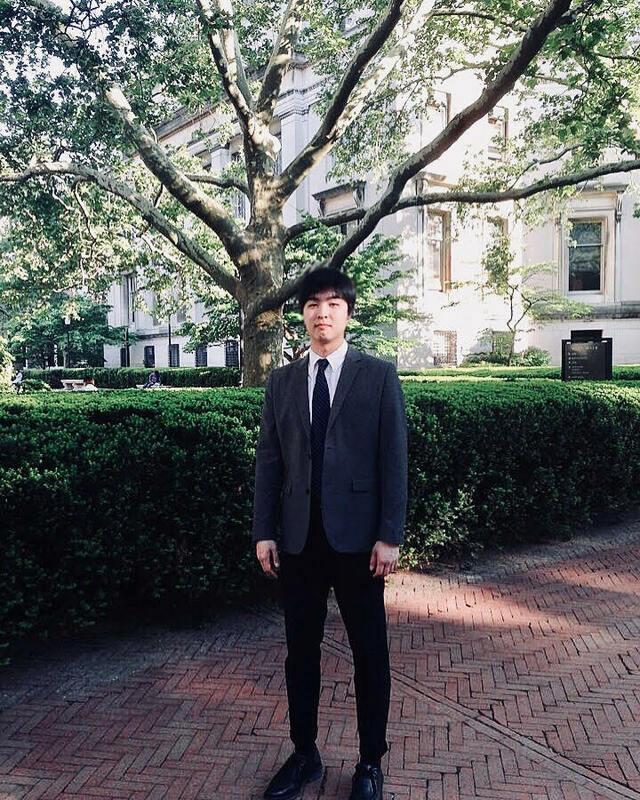 At Columbia, he wants to delve even deeper into the methodological and analytical aspects of interviewing, while exploring the nexus of oral histories and journalism. With the strong belief that creating space for and seeking out marginalized voices helps to facilitate freedom for everyone and enriches the whole of society, Valerie is thrilled to join the Oral History graduate program. She looks forward to developing the skills necessary to gather and present those voices in a way that broadens our collective sense of history and invites new meaning into the public conversation. Holly Werner-Thomas is a writer and historian. A native Oregonian, Holly has lived all over the United States and abroad three times, in France, Brazil, and Turkey. Before receiving her M.A. in American history, she worked as a reporter and editor for several years in New York, San Francisco, Washington, D.C., and Brasìlia. She has also worked as an oral historian for the Hurricane Katrina Oral History Project in conjunction with the University of Southern Mississippi, as Research Director for a historical consulting firm, The History Factory, and as an activist for the pressure group Moms Demand Action for Gun Sense in America, where she created an oral history project for gun violence victims and their family members. Holly has written two book-length works: on the largest lynching in American history, and on the two years she lived in Turkey. She currently lives in Washington, D.C. with her husband, two children, and new puppy. Christina is an attorney who spent the majority of her career as an Assistant District Attorney prosecuting public corruption at the Bronx DA’s Office. She is currently a Hearing Officer for the Office of Administrative Trials and Hearings where she adjudicates administrative law matters as an impartial judge and issues written decisions post-hearing. As a granddaughter of an Armenian Genocide survivor, Christina hopes to contribute to the collective memory of the Genocide by taking oral histories of the survivor’s children, the second-generation who grew up in the shadow of the Genocide and have passed the memory and its effects on to their own children. She will explore postmemory and the transmission of trauma: how the second generation’s identities and emotions were affected at different stages of their lives. Did some ignore their history because it was too difficult to face? Do they experience feelings of anger or hatred? Do they wish for revenge or reconciliation? To what degree has it affected their benevolent instincts and involvement with current humanitarian issues? And critically, how has the public denial of the Armenian Genocide by Turkey and other states influenced these personal and individual responses? As a history major during her undergraduate study at Princeton University, she valued the study of the past with an eye towards the future. As a cohort, she anticipates exploring both the divergence and convergence of the fields of oral history and history. Having spent ten years conducting direct and cross-examinations where by necessity she had a goal in mind that determined her line of questioning, Christina hopes to facilitate a less determined outcome in taking oral histories, whereby the subject’s oral history is meaningful in and of itself and also as part of a larger narrative and collective memory. Christina resides in Manhattan with her son, daughter, and husband. Alissa Funderburk is a New York native, having been born and raised in the St. George neighborhood of Staten Island, New York. As a lover of the fast paced global power that is the City of New York, Alissa attended Columbia University to pursue a bachelor’s degree in anthropology as a John W. Kluge Scholar. While in the college, Alissa dedicated herself to a number of organizations including the Multicultural Recruitment Committee, Barnard Organization of Soul Sisters, Black Student Organization, and Sexual Violence Response Program. Her studies focused on race, culture, education and religion, particularly those of the African-American diaspora. After her graduation in 2012, Alissa relocated to her mother’s hometown of Decatur, Alabama where she spent her time pursuing two of her favorite interests: family history and children’s ministry. After a year’s time, Alissa returned to New York and began working with Hope Church NYC as the director of kids programming and as an assistant at York Preparatory School. In the past three years Alissa has been a dedicated alumna and devoted member of her Astoria church community. Her oral history research will focus on exploring the religions and cultures that make up New York City, recording the stories of those communities. A haven for immigrants and people from multitudinous backgrounds, New York presents an ornate tapestry of religious tolerance. Alissa will ask the question, “What do you believe in?” and uncover the many ways how religion, either belief or disbelief, impacts the lives of others.